We want to thank WesternHunter.com reader, Stuart, for sending us this picture of a truly fantastic forkhorn buck. How many hunters might catch a case of buck fever if they saw this boy come walking through the woods. 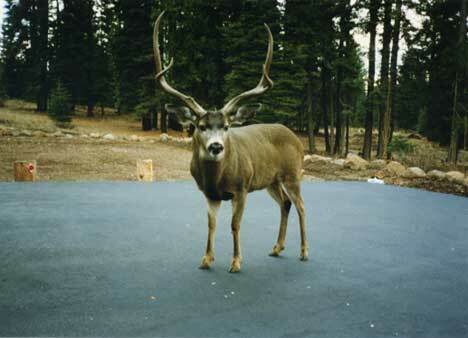 Stuart's 66-year-old aunt took the picture of this buck in her driveway in the Lake Almanor area of California. It was shortly after the deer season had closed in 1997. Stuart asked what we thought the width and height of the antlers might be  we guess 24 inches wide and 33 inches high. What's your guess?